Ever since my friend Luke Crook forced my to read The Lord of the Rings in 7th grade I’ve been enamored with the character of Gandalf. What is it about him that resonates so deeply with me? As I’ve been studying the nature of apostolic ministry I continue to be struck by the similarities between Gandalf’s role (and the role of the 5 wizards) and the developing biblical picture I’m getting regarding God’s apostles. 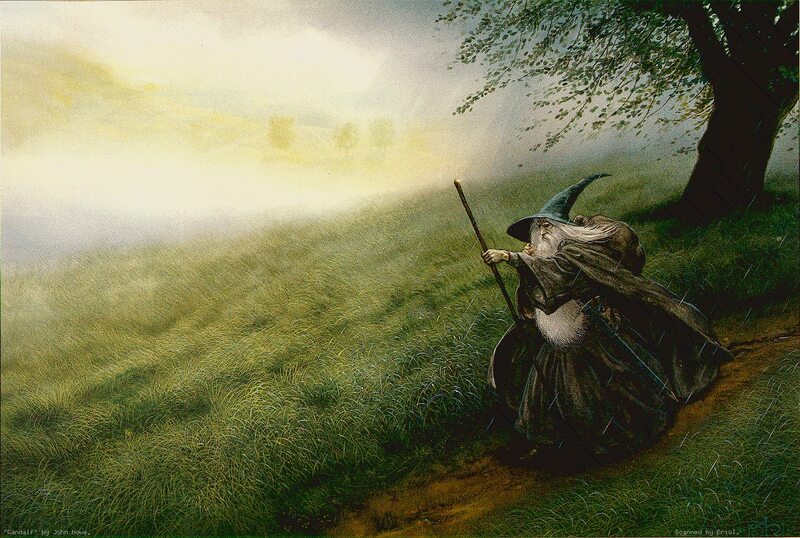 “The Wandering Wizard” – Gandalf is itinerant and insists on building up other groups but being beholden to none. He takes REAL responsibility for his role in providing guidance and strategy without settling down in any one place (the flaw of Saruman). 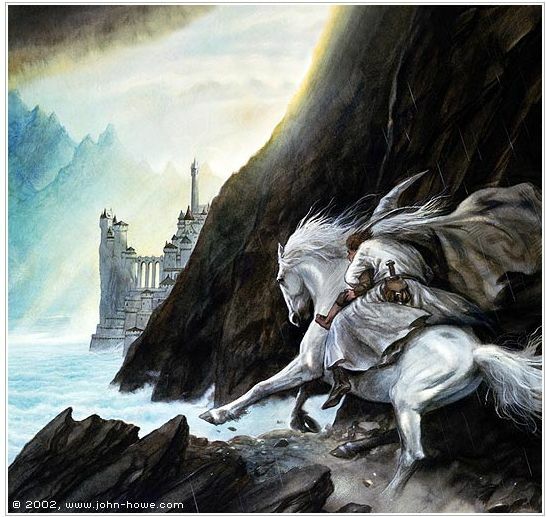 In the Silmarillion there is an interesting narrative about the White Council (Elrond, Galadriel, Gandalf, Saruman etc.). Galadriel wanted Gandalf to be the leader of the White Council but Gandalf refused because “he would not be subject to any summons”. He will not be rooted to one institution because it would interfere with his ability to serve many (this also must be true of apostles) which leads to my second point. 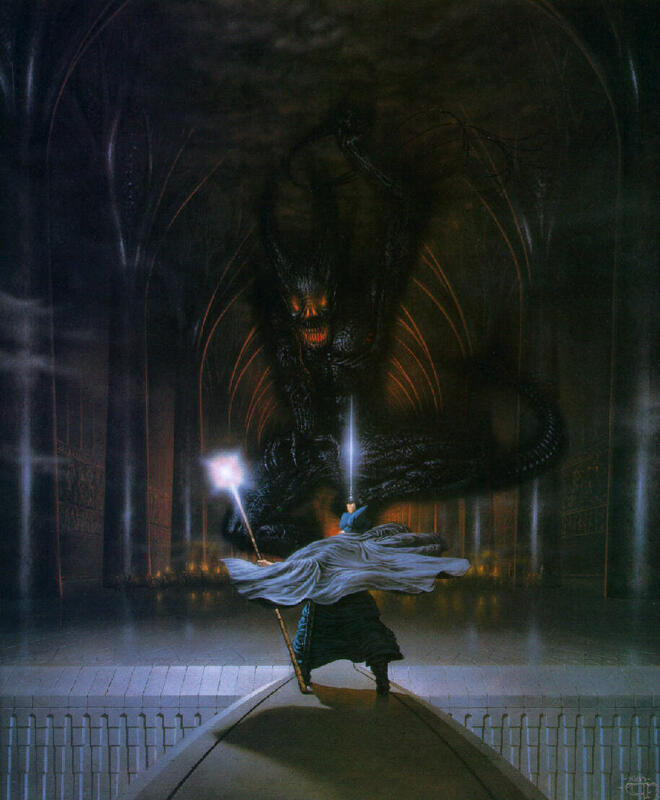 “Servant of the Secret Fire” – My favorite scene in The Fellowship of the Ring is when Gandalf faces the Balrog of Morgoth. Gandalf is already visibly shaken by being hit by a counter spell at the tomb door and suddenly Legolas cries out Ai! Ai! A Balrog! And you know when the powerful, wise, hundreds-of-years-old elf freaks out you’re in serious trouble. But when Gandalf faces off with the Balrog on the bridge he tells the creature “I am a servant of the Secret Fire” and the second I read that for the first time I was entraced. Tolkien has amazing literary restraint. He tells you very little about the history of Middle-Earth but just enough to give his works a sense of almost endless depth and history. Now I’m a big enough geek to read Tolkien’s other books and notes and I know that Gandalf was sent by the Valar to Middle-Earth to counter the growing threat of Sauron. But Gandalf’s self-identity as a servant of something secret and unseen by those who knew him is exactly the kind of self-identity needed for an apostle. Apostles are not superstars they are servants of the unseen Kingdom of God, not building fortresses like Saruman but on the move, tirelessly serving and building up the forces of God’s people to face their enemy which leads to my final point. “Stormcrow” – Gandalf was given the name Stormcrow by some because his arrival always seemed to be perfectly timed with a season of war of either expansion or defense. Likewise God’s apostles often arrive to shake up foundations and move God’s people forward which can be unsettling for those who are desperately trying to defend the status quo. There are many others but I thought I’d list a few and expose my hopeless geekdom for public display once again. God has impressed on me lately the importance of not neglecting the Antioch model so I want to simply introduce some observations and how this tiny, new church plant was responsible for the single greatest church expansion in the history of our faith. Pastoral model – This is where someone with a 5-fold pastoral gift plants a church and stays there, growing and maintaining it for life. This has and always will ultimately result in the decline of churches because there is no chance for exponential growth and the number of churches is always limited to the number of Pastors. Evangelistic model – This was kicked off with Bill Hybles church plant in Chicago and has been reproduced a thousand times around the world. This model is where a 5-fold evangelist plants a church and restructures it around their ability to enfold thousands of people. If Billy Graham would have planted a church it would have been like this. These churches tend to be 1000+ but are even more difficult to reproduce then pastoral churches because there are fewer 5-fold evangelists. This model results in the fast decline in the number of churches the slow decline in the number of church goers and very fast decline in the number of devoted disciples since evangelists do not have the gifts or calling to thoroughly train disciples. Church planting Churches model – Very recently there has been a call for churches to plant churches. New churches are both better at evangelism and contextualizing the Gospel in emerging cultures than existing pastoral churches. While this is smart strategically this model tends to carry with it the same problems as the above two if the model for church being used is based on finding the right 5-fold gifted person. If they chose a new model (actually an ancient model) not basing a church on a person and his gifting they may become an Antioch church and learn how to reproduce in a way that expands the church. I have the most hope for this model. Sending out the most called and gifted of the group. Any church that wants to see this kind of expansion can NOT be dependent on their most gifted members but must be preparing to build itself up (Eph 4) as they are equipped by those gifted members so they can send their best out and not suffer. Spiritually and financially support the Apostolic team you are sending out. I know many of us have been trained not to pay any attention to Acts to find models. We’ve learned well that what the Spirit of God did in Acts and what the Spirit of God inspired Luke to write in Acts should have no bearing on our models but we should instead follow what the spirit of Brian McLaren or Mark Driscoll says or trust in our own limited understanding of the Bible and our context to discern how to structure the church. But I believe church structures must flow out of divine revelation and then work toward strategy because it is given to apostles in our day to understand what models and forms will result in the proper functioning of the church. We cannot and should not divorce form and function because one leads to the other. I’d encourage you to dig into Antioch and see if these elements are true of you and your church and for the sake of the Kingdom, consider the impact of this tiny, obedient body.